The Ganton: Our homage to 1966 Soho. To mark Carnaby’s partnership with the V&A for their exhibition: ‘You Say You Want a Revolution? 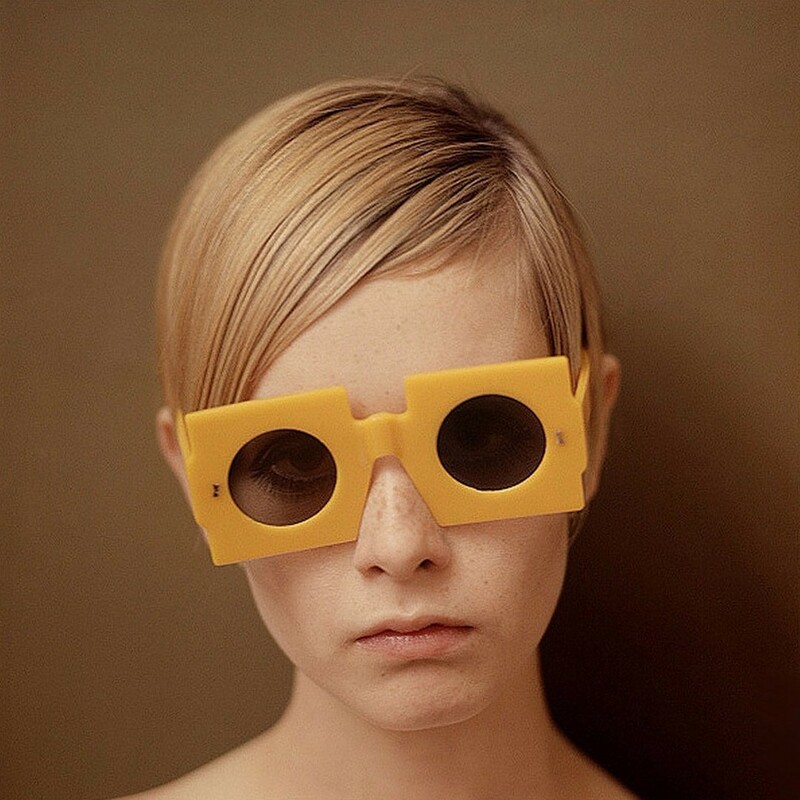 Records and Rebels 1966-1970’, we've produced a unique, one-off frame, commemorating the fiftieth anniversary of the iconic shot of Twiggy, the world’s first supermodel - half a century after it was captured brilliantly by American fashion photographer Ronald Traeger. Refining the silhouette of the original frame, The Ganton was made by hand over a period of six weeks, using an opaque gold zyl acetate, signature Cubitts trims, and brown Zeiss lenses. These unique sunglasses are named after Ganton Street, the home of our Soho Workshop, running perpendicular to Carnaby Street. The sunglasses will be on display in The Soho Workshop from today for two weeks. Traeger arrived in Britain in the early 60s, and began brilliantly captuing the Zeitgeist of ‘Swinging London’. He formed a fertile collaboration with Twiggy, capturing some of her most iconic moments, including this image taken in 1966. Traeger tragically died in 1968, aged just 32.